The World Report on Disabilities says that 15% of the population today lives with some form of disability. If you're not in that 15% today, chances are you may be In the future. That's because in the years ahead, the prevalence of those with disabilities will rise as the population ages. In fact The Institute on Disability reports that more than 1/3 of those over 65 have a disability. Making the world accessible to those with disabilities isn't just the right thing to do. For some it has become law. For example, in 1998, Congress amended the Rehabilitation Act of 1973 to require Federal agencies to make their electronic and information technology accessible to people with disabilities. More and more businesses are following this lead, not just for ethical reasons, but also because accessibility means more customers. When accessibility is addressed, everyone can understand a space, integrate in it, and/or interact with its content. It lessens the burden for those needing accommodations to fully participate and engage. Those trying to address accessibility understand the importance of technology. In fact, in many cases, digital is what makes accessibility possible. There are numerous ways that technology can serve as the eyes, ears, hands, and mouth for those with disabilities. But creating with accessibility in mind, is just the beginning. Accessibility and inclusion are closely related, but inclusion goes even further. This chart outlines what happens when we move from accessible to inclusive. Opens the door to an equivalent experience. Provides the same experience for all people. Considers people with varying abilities and differences afterwards. Includes those with varying abilities and differences before and during the design process. Designs "for" those with differences. Designs "with" those with differences. Usually refers to accommodations for those with disabilities. Designed for all people. Those with disabilities as well as those who speak other languages, observe different religions, make different lifestyle choices, and anything else. Designing afterwards by making adaptations, retro-fitting, and/or creating new and specialized design. Designing, from the beginning, products and environments that can be used by all people. You must take extra steps to make something accessible. You don't have to take extra steps to make something accessible. It is a design feature. Uses neutral language for example, avoid saying things like "all rise" and use gender neutral language. A box is an accommodation to make viewing accessible. Removing the fence makes it inclusive. Photo credit and a super interesting story from the photo's creator Craig Froehle. Back in the 80s Tim Berners-Lee was launching the World Wide Web, Steve Jobs introduced the Macintosh, Microsoft co-founder Bill Gates had become the wealthiest person in the world, and Mark Zuckerberg was busy being born. Fast forward a few decades and all these formerly young-spry tech-preneurs are aging. Even Zuckerberg will age out of the young professional category in a few years. Technology was not designed by or for those with disabilities. However, as the population ages, whether it's visual, auditory, cognitive, or physical, their likelihood of acquiring, or having those close to them acquiring, a disability increases. Designing for all should be "a part of," not "apart from" the development process. But is it? Is accessibility baked into to the development process? Let's take a look by looking at social media examples. You must take ten steps too many on Twitter to use alt text. Who wouldn't want content to be accessed by people who are visually impaired? This should be a feature, not an option. Twitter has not stepped up its accessibility game. Facebook is a bit better. It auto generates alt text using object recognition. However, to customize the alt text, it still takes too many steps. The steps to add captions are too complicated. Rather than go through a confusing list of steps, captions should be auto-generated, then users should be able to go in and edit them. Facebook has work to do in their accessibility game. Facebook purchased Instagram, so it's no surprise, that they also auto generate text that can be customized. However, like Facebook, rather than bake in the customized alt text option, you must navigate your way to it. Adding captions. Not so easy. This article takes you through the process while acknowledging what a hassle it is. Instagram needs to step up their accessibility game. The least accessible of these social media platforms is SnapChat. There's even a user who started a petition to bring attention to the issue. USAGov provides a complex guide on making accessible stories, but mainstream users won't have time for that. Some innovative users have found ways to hack accessibility, but accessibility should be a feature, not a hack. SnapChat has a ways to go to meet the needs of their disabled users. The most accessible social platform of those presented is Google's YouTube. It auto generates captions. No extra effort for the video creator. If the captions are wrong, you can edit them without too much effort. While there is always room for improvement, YouTube is doing a good job. Others should take note. In 1998, Congress amended the Rehabilitation Act of 1973 to require Federal agencies to make their electronic and information technology (EIT) accessible to people with disabilities. The law (29 U.S.C § 794 (d)) applies to all Federal agencies when they develop, procure, maintain, or use electronic and information technology. 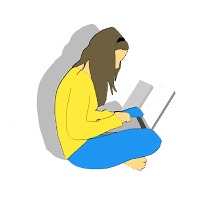 Under Section 508, agencies must give disabled employees and members of the public access to information comparable to the access available to others. In 2009 Berners-Lee expanded that view finding the World Wide Web Foundation to promote Internet accessibility and equality for all. In 2018 Berners-Lee kicked off a global campaign that included a “Contract for the Web,” urging governments, Internet companies and users to commit to a set of principles to protect the openness and accessibility of the Web. The Washington Post reported that upon the campaign’s unveiling, more than 50 organizations had endorsed the principles underlying the contract, including the French government, Facebook and Google. Though it is only Federal agencies that are "required" to make digital content accessible, tech companies need to step up their accessibility game too. It is a moral, ethical, and financial imperative for technology companies to develop and iterate their platforms with audience in mind following the Web Content Accessibility Guidelines. Tech companies can start by having the Web Content Accessibility Guidelines (WCAG) Checklist in hand as they develop and update their platforms to be designed for all. Youth need privacy for healthy growth, development, and to work through ideas. Yet in these monitoring-obsessed days of child-rearing, privacy is often thrown to the side in exchange for surveillance. That's why innovative educators help parents see past simplified safety advice like: only use technology in a communal area. While imposing such restrictions is easy and may give a false sense of security, it is ineffective. What's better than monitoring is working to foster trust and staying connected with your child. When you have developed connections and communication, your child is more likely to share what she’s up to. Monitoring doesn't stop bad behavior, it drives it underground. Find out for yourself. Ask a teen who's monitored if it makes them stop doing something or just become better at lying about what they're doing. Wanting privacy goes along with the development of independence. A young person doesn't want all their thoughts, feelings, and creations on display. Privacy allows young people to work out their thinking and feelings in a safe place. Your child is not always going to be using technology at home and you are not always going to be there to monitor them. More effective than surveillance is supporting your child in using technology effectively. This means fostering a trusting relationship where you can speak to one another. What do you think? Is this in alignment with advice you give parents? How are you helping to instill responsible use in the youth with whom you work? Like it or not, educators and parents of young schoolchildren know (or will soon find out) the rigorous literacy demands being placed on students today. A friend shared she was surprised by the reading level and number of books her six-year-old was supposed to be reading. She'd been reading bedtime stories to her daughter. What she didn't realize was that schools today expect young children to be reading their own stories with proficiency at such a young age. This is happening despite research that indicates we are pushing children to learn before they are developmentally ready. Doing this can have harmful consequences for children. In their report Reading in Kindergarten: Little to Gain and Much to Lose, education professor Nancy Carlsson-Paige and her colleagues write about the hazards of early reading instruction. They warn: “When children have educational experiences that are not geared to their developmental level or in tune with their learning needs and cultures, it can cause them great harm, including feelings of inadequacy, anxiety and confusion. Unfortunately, if you’re a teacher or parent, even if you feel this way your job and/or child’s success depends on how they meet today’s expectations. One of the worst things a parent or teacher can do is to associate reading with anxiety and failure. One way to avoid this is to make reading fun with as many scaffolds as possible. While for some families this may mean investing in expensive programs or tutors to help their child keep up, there is another way. Finding high-quality early literacy apps. If you’re lucky enough to be in a district that purchases and provides a platform such as Footsteps2Brilliance students will be more likely to meet today’s demands. Their research shows that in just one month students have measurable results in vocabulary acquisition, critical thinking, and comprehension. Outside research shows that students who used Footsteps2Brilliance gained 7 months of vocabulary acquisition on the Peabody Picture Vocabulary Test in just 1 month. That is almost an entire year’s worth of academic progress. Unfortunately, you may not be in a district that uses advanced tools for advanced literacy. Fortunately, there is an app now available to any parent or teacher for students. The app can be downloaded even if their school or district has not invested in it. It’s called Rivet. It’s free! It also has no ads and it’s COPPA compliant. 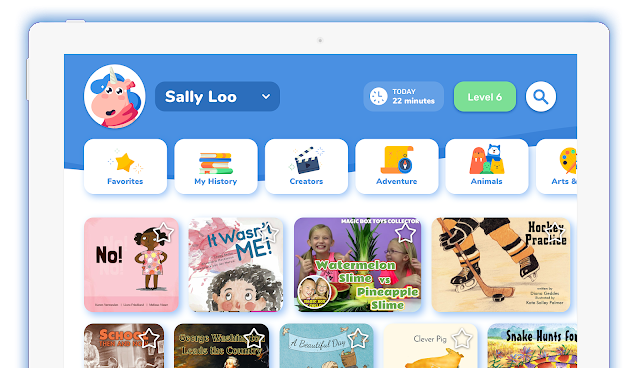 The app contains more than 2000 leveled books for students in grades K-2. The app has a kid-friendly interface with word help to decrease frustration level. It has a read along feature enabling the book to read aloud to children. It is personalized so kids can choose their favorite books, avatars, and skins. It also has authentic, real-world reflection. Readers can rate and review each story they read. They can also save favorite stories and play games based on the stories they enjoy the most. Using an app like Rivet means increased screen time results in increased reading time. What does that look like for readers using Rivet? While click-bate headlines love to scare parents and educators about the risks of screen time, it’s not that simple. Intelligently directed screen time with adult guidance and support can be the very thing kids need for success. What do you think? Are apps like Rivet or Footsteps2Brilliance something that could help the students with whom you work? Have you tried them? Have you had success with something else? Innovative educators know the importance of family outreach. They also understand that to build a strong relationship with parents, there needs to be plenty of positive and useful contact made for busy families. To help with that WNET Education has created Parenting Minutes. These short videos focus on key topics related to early childhood learning and raising children. Each video page contains shareable tips and facts, as well as links to more FREE resources and information. Readiness Check: Find out about the Learning Heroes program. Here parents can have their children answer about five questions to find out if the are ready for their grade level. If they're not, they can receive some fun, free activities to help children learn at home. Routines: This video provides information about the importance of establishing a schedule at home with daily routines. Healthy Snacks: This video talks about how parents and caregivers can help children eat healthier. Eating healthy snacks keeps kids strong which means fewer sick days and a stronger mind. There are currently 12 videos which makes them perfect to send out with a monthly text or newsletter home to families. Become a smart consumer of products and information. What innovative educators may not know is how to get started with teaching students about media literacy. The National Association of Media Literacy Educators (NAMLE) has a useful key question grid resource to help teachers get started. The grid provides questions in three categories, each with subcategories. Questions may have many different answers. When sharing answers students should provide evidence sharing how they know what they know. What do you think? How are you empowering your students to become media literate? Is this grid something you think would work in your classroom? If you've used this tool, how did it go? If you use something else, what do you use?